****HUGE LOT****CUL DE SAC LOCATION****PAID FOR SOLAR****3 CAR GARAGE****4 BEDROOMS (1 DOWNSTAIRS)****PEX PIPING TOO**WHOLE HOUSE FAN AS WELL! 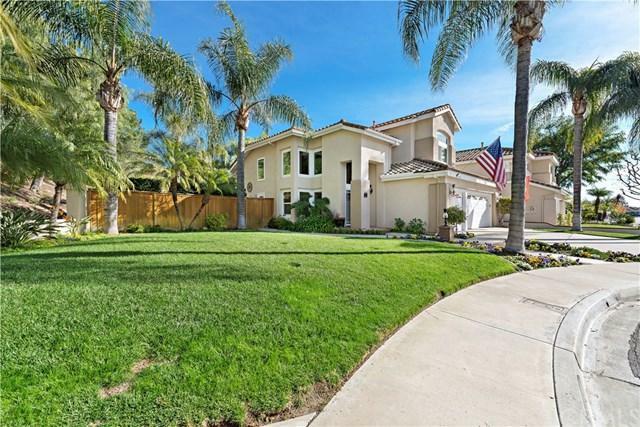 2 EL PRISMA IS LOCATED IN THE ENCLAVE OF MELINDA HEIGHTS WHICH IS ONE OF THE MOST DESIRABLE COMMUNITIES IN RANCHO SANTA MARGARITA. SITUATED AT THE END OF THE CUL DE SAC, 2 EL PRISMA IS PERFECT FOR FAMILIES SO THEY'RE CHILDREN CAN PLAY, RIDE THEIR BIKES, AND ENJOY THE COMMUNITY THAT'S ONE OF THE SAFEST IN THE STATE! A HUGE FRONT YARD PROVIDES PLENTY OF SPACE FOR THE ****HUGE LOT****CUL DE SAC LOCATION****PAID FOR SOLAR****3 CAR GARAGE****4 BEDROOMS (1 DOWNSTAIRS)****PEX PIPING TOO**WHOLE HOUSE FAN AS WELL! 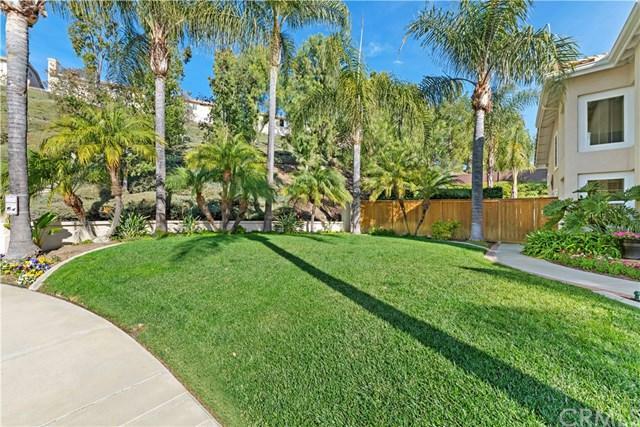 2 EL PRISMA IS LOCATED IN THE ENCLAVE OF MELINDA HEIGHTS WHICH IS ONE OF THE MOST DESIRABLE COMMUNITIES IN RANCHO SANTA MARGARITA. SITUATED AT THE END OF THE CUL DE SAC, 2 EL PRISMA IS PERFECT FOR FAMILIES SO THEY'RE CHILDREN CAN PLAY, RIDE THEIR BIKES, AND ENJOY THE COMMUNITY THAT'S ONE OF THE SAFEST IN THE STATE! A HUGE FRONT YARD PROVIDES PLENTY OF SPACE FOR THE KIDS TO PLAY AND MAKES FOR GREAT CURB APPEAL! INSIDE YOU'LL LOVE THE HIGH CEILINGS AS YOU ENTER THE FORMAL LIVING AREA. LOTS OF NATURAL LIGHT AND OPEN FEEL ARE FEATURES YOU'LL LOVE! THE KITCHEN IS GORGEOUS WITH SELF CLOSING CABINETS, UPGRADED HARDWARE, AND GRANITE COUNTERS TOO! THE FAMILY ROOM SHOWCASES FRENCH DOORS TO THE ENTERTAINERS BACKYARD ALONG WITH CUSTOM ROCK FIREPLACE. A DOWNSTAIRS BEDROOM IS IDEAL FOR AN OFFICE, IN-LAWS, OR A PLAYROOM! THE 3 CAR GARAGE IS DEEP!! CURRENTLY FITTING A BOAT INSIDE, YOU'LL ENJOY THE EXTRA STORAGE AND HIGH CEILINGS TOO. UPSTAIRS OFFERS THREE ADDITIONAL BEDROOMS WITH EACH OF THEM GENEROUSLY SIZED. THE MASTER SHOWCASES VIEWS OF THE GREENERY, VAULTED CEILINGS AND ENOUGH SPACE FOR A NUMBER OF PIECES. HOW ABOUT THIS MASTER BATHROOM?!? BEAUTIFULLY REMODELED SHOWER, TUB, AND VANITIES ARE SHOWCASED. THE SECONDARY BATHROOM IS ALSO REMODELED TOO WITH NEWER VANITIES AND SHOWER UPGRADES. MELLO ROOS IS EXPIRING SHORTLY AS WELL.